Welcome to enigmatic aerial land of MahJong! Pass through all of its fascinating levels, solve all mysteries and riddles to find the mighty mage and gain from him a magnificent gift. 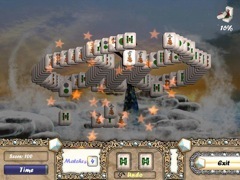 Aerial Mahjong is an adorable logic puzzle based on a classic Chinese game, MahJong. It's based on simple rules and has addictive gameplay. 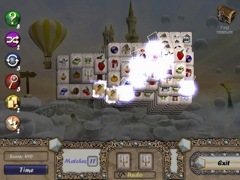 Your goal is to remove all tiles from the board, but you are able to remove only paired and free tiles. The tile is free when there are no tiles either to the left or to the right from it. 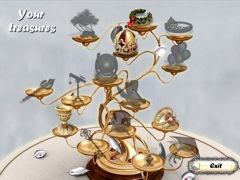 There are many useful items, effects and advices to assist you in uncertain moments.